'Aquaman' leading new year's eve box office with $10.1 million, turns the tide for DC movies. 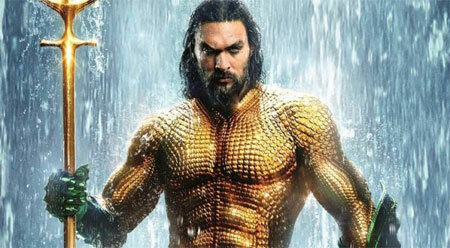 Jason Momoa starring movie Aquaman bid farewell to the year 2018 with a perfect ending. The James Wan-directed movie conquered the movie charts in North America on new year's eve by collecting the hefty sum of $10.1 million. 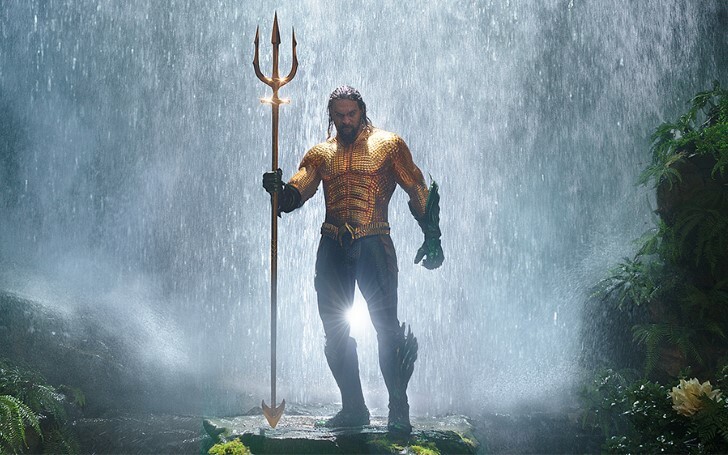 By the end of 2018, Aquaman topped the domestic box office with $51.5 million subsequently followed by Disney’s Mary Poppins Returns, with $28 million and Bumblebee with $20.5 million. According to studio estimates, The Warner Bros. film which domestically made $189.5 million dollars on Monday is set to surpass the $200 million mark at the domestic box office. Surfing the tidal waves of positive reviews and audience love, the DC comics superhero movie "Aquaman" grossed over $751 million dollars by the end of the year 2018. Aquaman is apparently the third highest grossing DC movie after Batman vs Superman with a gross total of $873 million and Wonder Woman's $821 million. Observing the gradual increase in gross income of the movie, if Aquaman tops $1.085 billion, then it is to be the biggest DC Comics superhero movie ever made overtaking The Dark Knight (2008). Followed by the huge success of the movie Wonder Woman, The Warner Bros. film is now led by Aquaman and Fantastic Beasts: The Crimes of Grindelwald, despite the latter's underperformance in theaters. Other major performers for the studio include Ready Player One starring Tye Sheridan, Olivia Cooke, Ben Mendelsohn. Likewise, the movie The Meg, based on the novel Meg: A Novel of Deep Terror by Steve Alten stars high profile actors such as Jason Statham, Li Bingbing, Rainn Wilson, Ruby Rose, Winston Chao, and Cliff Curtis. 2018 was also a fantastic year for superhero cinema. With 7 superheroes movies among the top 10 highest-grossing films of the year, superhero movies are accounted for more than $7.6 billion of 2018's box office totals around the world. Obviously, eyes are focused on 2019’s releases, with movies like Captain Marvel, Avengers: Endgame and Spiderman: Away from home hitting the big screens this year, the box office of 2019 is sure to embrace some record-breaking experiences.